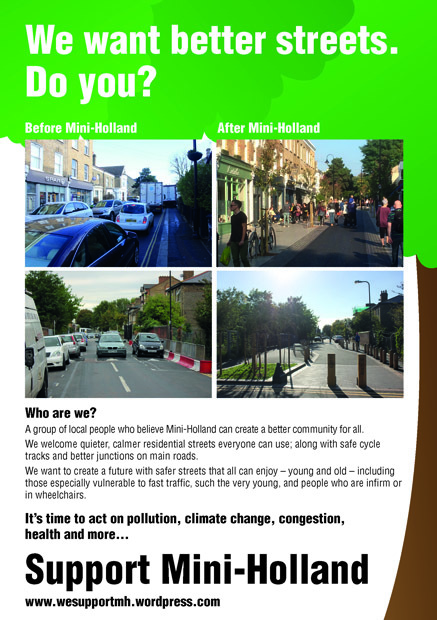 Help our message be heard, and help ensure that the Mini Holland programme benefits as many people as possible. 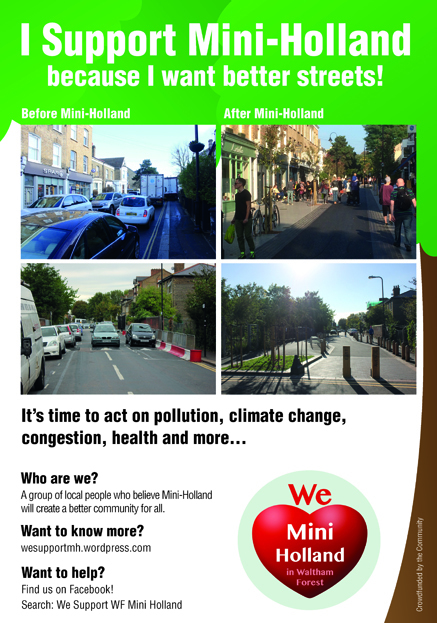 Chat to local friends and neighbours about Mini Holland and tell them what you like about it. 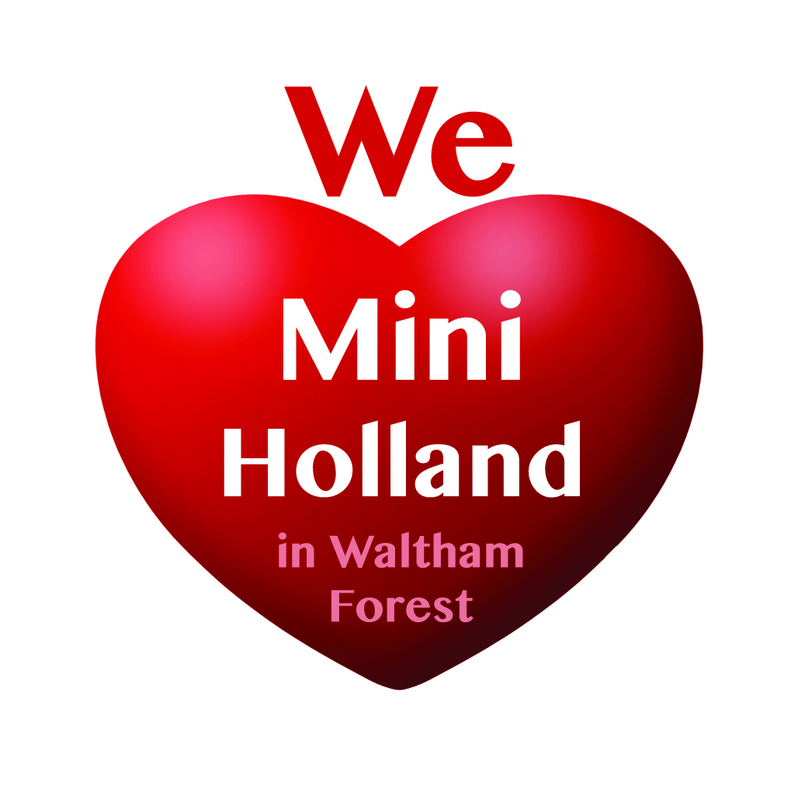 Send a short email to your local councillor telling them you support Mini Holland. 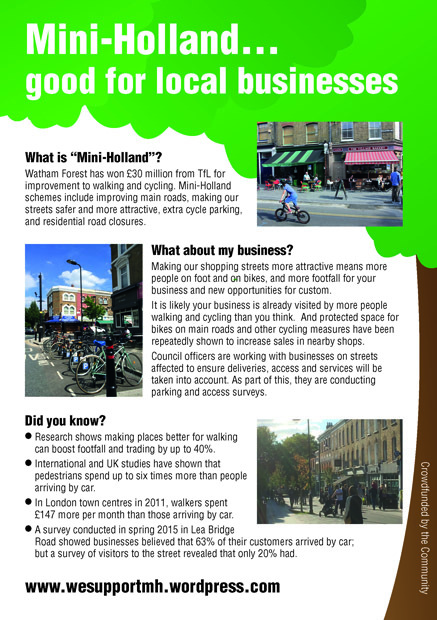 Click here to find your 3 ward councillors and their email addresses. Click here to follow & promote us on twitter. 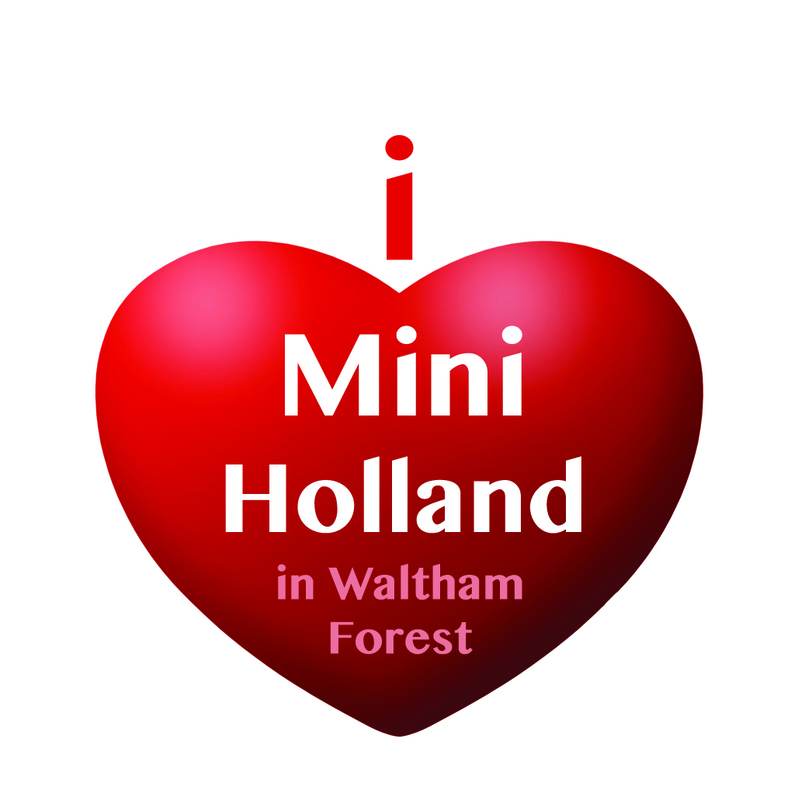 We’ll use our facebook page and group to post details of specific activities we would like help with. If none appeal to you, perhaps you have skills that you would like to offer, eg design, film editing, copy writing.